Your K-12 Education Program Guide is Coming Soon! 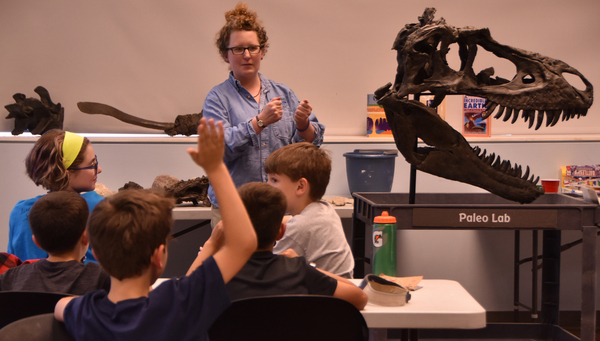 Our K-12 Guide is a one-stop-shop for education programs at the Indiana State Museum and across the state. This year, the guide is categorized by region to help you find engaging programs closest to your school. We’ve added and updated many of our programs and are excited to connect with your classroom this school year! Stay tuned, as you will receive a link to this online guide next week! Field trip alert! There are just two months until we open the doors to two one-of-a-kind experiences! Cardboard Engineering offers 3,000 square feet of cardboard, tools and connectors for you to engineer your own cardboard masterpiece. THE ART OF THE BRICK features the world’s largest display of LEGO® art ever. Educator activity of the month: Bring to life a person, event or lesson plan with this short activity using mystery objects. Review the activity here. Have you heard the buzz about our new early childhood programs? Check out this program recap written in a CityMoms Report by Katie Windes de Puente. These are great programs to suggest as weekend activities for parents! Preschool programs are in session! Our new Preschool Journeys program is offered both in-museum and where you're located. Preschool Journeys leads 3- to 6-year-olds on a path of discovery in art, science and history. Programs include an assortment of hands-on activities, gallery visits, story time, dramatic play and art projects. Stop by the Indiana State Museum to browse high quality traditional and abstract art in a variety of forms including paintings, drawings, prints, ceramics, sculpture and glass.